Unlike those in Britain, Europe or America, our universities have never taken the study of religious thought seriously (Melbourne in fact explicitly excluded Divinity in 1890), and there are no great theological colleges in Australia; until recently the churches imported rather than bred their theologians. The Anglicans and the Romans in particular have had a fractured system of small-time colleges, each with its own emphasis, which are only now being rationalised; all theological colleges are heavily oriented towards the vocational training of clergy, rather than the intellectual critique of the church’s language about God. The last few years have seen the beginnings of substantial theological scholarship and discussion, but each publication is overwhelmingly a contribution to a debate centred in Europe. It may be objected that Australian religion is vastly wider than what goes on in theological colleges, and so it is. But I submit that the failure so far to spawn a tradition of self-sustaining theological scholarship and debate tells us something significant about Australian religion. There is a second point here as well. Religion in Australia has been, and to a large extent is still, very derivative. The Irish consciousness of the Catholics needs no elaboration, and has caused considerable difficulties to continental Catholics who have come here in the past 30 years; the Anglicans are still in the process of dropping the name ‘Church of England’; Scottish accents have always commanded especial respect in Presbyterian Assemblies. More recently, the ‘evangelical’ Protestants have turned to America to import business models and techniques. From the early days of the colony, there were groups – the emancipists, the larrikins, the battlers – who thought of themselves as Australians and scorned the ‘new chums’. But these were precisely the groups who were little affected by religion, whether in the formal guise of the churches or through the missions of the evangelists. This striking disjunction is marvellously illustrated by the uncultivated youth in a magistrate’s court about 1840 who, when asked his religion, replied ‘I am a Native’. The foreignness of the Australian Churches, whatever their denominational allegiance, was indeed foreshadowed in the First Fleet; the Church arrived here ‘on the wrong side’, in the presence of an officially-appointed chaplain. Nationalistic self-identity had, therefore, little effect on religious consciousness: Australia has not even produced its own analogues of the off-beat American sects. All the ‘way-out’ religious groups appearing here with significant impact have been imported. And, of course, in this very paper I have had to take ‘Australian religion’ with the implicit gloss ‘white’: the mythological structure of the Aboriginal ‘dreaming’ has contributed nothing to white religious thought here, however much it has intrigued anthropologists. There has been remarkably little indigenisation. The picture I am painting may change. In the last year or so one can detect what might prove to be the first stirrings of a genuinely contextual articulation of an Australian religious outlook. (It will be interesting to see whether the new Uniting Church of Australia inaugurated in July can rise to the challenge.) More characteristic has been the short life of Charles Strong’s Australian Church, with its simple Unitarianism, which never really got off the ground. For the moment, the essentially derivative nature of Australian religion remains more striking. The way post-war migrants have brought their own churches with them, be they Gereformeerdekerk or Serbian Orthodox, has only accentuated this fact. And if we add to that the manner in which the population from the beginning, even if mainly falling under the general classification ‘British’, owned different national and ecclesiastical allegiances with none predominant, then it follows that the Australian church scene is characteristically sectarian …. The sectarianism of Australian religious life has, of course, had an enormous influence on social and political affairs. The centralised and bureaucratic shape of our education systems was the direct outcome of bitter religious rivalry and distrust last century; State aid for church schools remained the principal issue of religious-political interaction until the Whitlam government established the Schools Commission to defuse the issue. More generally, the role of the churches in Australian political life has been to reinforce our pervasive conservatism. This role has been accomplished in two ways: precisely by emphasising their derivativeness, the churches have provided symbols of famililiar security in a strange, unsettling environment, and by underpinning a vague liberal-humanism the churches have provided a stable value-system within which personal and political questions can be discussed without serious clash between church and state …. Yet while Christianity has served this conservative role in these ways, it has made no clear doctrinal contribution to the sense of national identity of the kind we noted in America. Insofar as that identity has been articulated in terms of the Anzac tradition, its religious motifs are more reminiscent of a Mithraic blood sacrifice of immortal youth than of the Cross …. This brings me to the next point: there are regional differences which talk about Australian religion should not obscure. South Australia … has a different denominational mix from the national average; Methodists, Congregationalists and Lutherans have been more numerous there. But denominations aside, there is a striking difference between Sydney and Melbourne right across the religious board. Let me remind you of some facts. It was in Melbourne that the Catholic National Civic Council had its base and Santamaria’s groupers were most influential. It is in Melbourne that the predominantly Anglican Brotherhood of St. Laurence operates. It was in N. S. W. that the Presbyterian Church split right down the middle over church Union. Melbourne Baptists tend to look to English Baptists for guidance [ed. – If anyone knows of such a gang, then do please introduce me]; Sydney Baptists to American Southern Baptists. Melbourne has its College of Divinity in which Presbyterians, Methodists, Congregationalists, Anglicans and Jesuits now work closely together …. Religious life in Melbourne has always been more urbane, more ecumenical, more catholic in its social vision, more Tory in its conservatism, whereas Sydney has been more assertive, more sectarian-fundamentalist …, a tendency which becomes stronger the further north one goes …. Insofar as Australian religion is derivative from Europe, it has inherited the theological problematic of Western Christianity. But our situation here is different; the very fact of migration has altered what comes as historically given. The problem of how to overcome nihilism, I want to suggest, likewise requires a different response here …. [We Australians] know ourselves to be thrown into a world in which we are not at home. (Indeed many generations of Australians referred to Britain as ‘home’, and we still cringe around the southern and eastern seaboard.) Hence also the conservative, derivative character of church life; caught up as Australians are in the rapidity of modern social change, before any deep cultural traditions could have become established, the churches can provide rare havens of familiar security. Seen in this perspective, it is no longer surprising that the churches which are, by secular measures, most ‘successful’, are precisely those which appear aggressively old-fashioned, and offer simple assurance. Further, the tranquillised self-assurance which [Martin] Heidegger takes to characterise inauthentic Being-at-home is highly manifest in contemporary Australia. Unlike people in other countries, we know in our hearts that the rhetoric of public life is largely phoney, even as we continue to invoke it. Our overwhelmingly suburban life-style, it seems to me, has to be explained in terms of an obsession to gather material possessions into the supposed security of one’s own home as a compensating reaction to our corporate lack of natural community. Heidegger could be describing Patrick White’s Sarsaparilla …. The relevance of all this for our character-sketch is that our cultural heritage is not rooted here. Our form of estrangement is not the European one of a culture which has collapsed in on itself to find nullity at the heart of its being. But neither are we at home; in their different ways, the banality and crudity of our everyday Ocker, the strident assertiveness of our churchly behaviour, the haunting elusiveness of the quest for wholeness which pervades our best literature, all testify to this …. Perhaps we need to ask ourselves more deeply why it is that the Outback still figures so forcefully in our imagery, even though we flee from its untameable emptiness into the seeming security of suburbia. Our consciousness is shot through with that sort of ambiguity: ambiguity about authority, which is reviled and yet conformed to; ambiguity about the land, which is shamelessly exploited and yet cannot be domesticated; ambiguity about ourselves, as a people oriented towards the future yet clinging obsessively to old, familiar forms of thought and social action. My suggestion, made with great tentativeness and temerity, is that we stand out into emptiness. 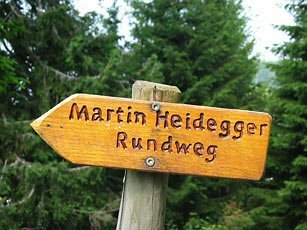 There is none of Heidegger’s typically European rootedness (Bodenständigkeit) here, and that, I submit, is what unifies the traits of Australian religion I have noted into a single character. But emptiness is not nothing; it is the uncanny limit of our self-assertion, a beyond, an ‘outback’ which indwells our existence, curbing any pretensions to absolute knowledge or authority. This deep, inarticulate sense of a limit is the correlative of the recognition of the contingency of our being-in-the-world. Practically, it means that we are driven back into our situation, to grapple with the recalcitrant nature of what is given – our so-called materialism and pragmatism. Theologically, it means that the absence of God is not nothing; it is the particular mode of his presence. At one level, the conservative-assertive style of the churches can be explained as a curious refraction of that theological situation within a derivative culture. At a deeper level, a more positive articulation of how we know ourselves to be contingent beings ‘thrown’ into a reality which transcends us and defies our efforts at domestication, might yet provide a basis for an authentic religious consciousness in this country.